Kuala Lumpur - Jan 23, 2015 - Popular Korean Drama " He Who Came From the Star created a fad for Korean Fried Chicken. 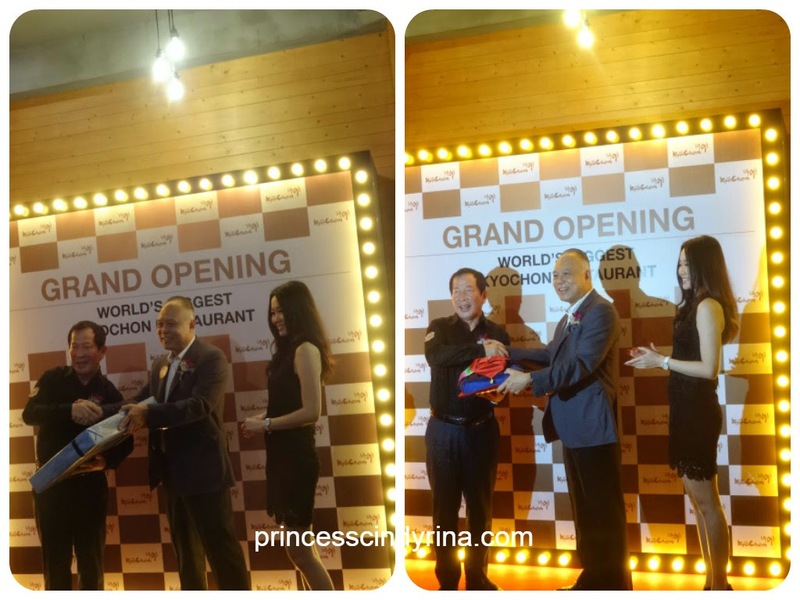 The famous KyoChon Fried Chicken from Seoul with over 1,000 outlets globally, announced the opening of their 3rd branch in Malaysia after the one in 1Utama and Menara Hap Seng. 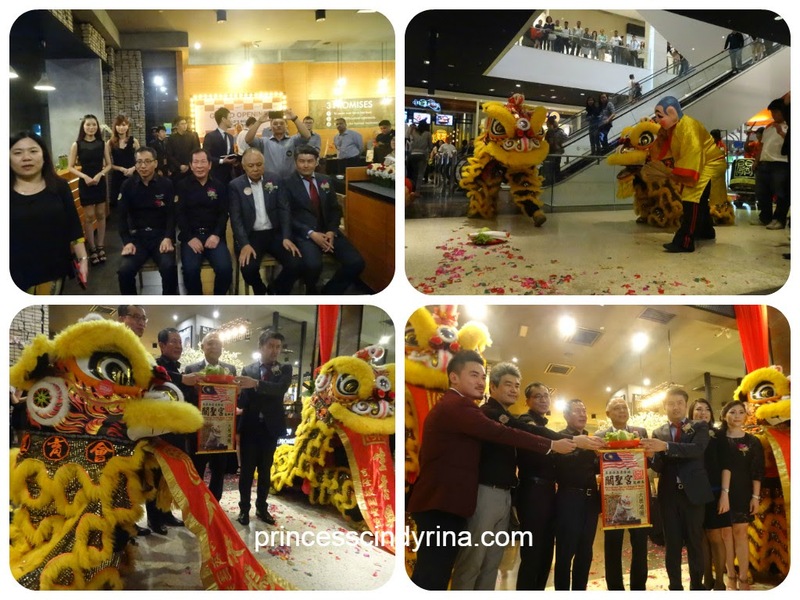 The new branch in Pavillion Kuala Lumpur will be their biggest outlet in the world. Started in 1991, KyoChon has over 1,000 stores in its native South Korea. It's fried chicken has been repetitively acknowledged by South Koreans as the best fried chicken brand as evidenced by multiple awards under its mantle , including Most Favourite Chicken Brand in South Korea for 13 years consecutively. The brand has since expanded its presence on world map, opening branches in China, Thailand , Indonesia, America, Philipines and Malaysia with Hong Kong branch to follow soon. Hongkeesssss....wait up..KyoChon is on the way to your home country! KyoChon founder Mr Kwon Won-Kang started KyoChon some 23 years ago in a small town called Gu-mi in South Korea. The name "KyoChon" is a combination of Korean word " Kyo " means "PURE" and "Chon" means "VILLAGE", and its represents the philosophy of the brand , that is insisting on nothing but the most natural ingredients and healthy way to produce their food. Mr Kwon also pioneered the double-frying technique which generally acknowledged by fans of Korean styled fried chicken, for longer lasting crispiness and less greasy fried chicken versus traditional and western styled cooking methods. Inspired by traditional Korean dishes and sauces , Mr Kwon was also the first to apply sauces directly onto fried chicken after cooking, developing the famous KyoChon Soy Garlic sauce which is loved by thousands worldwide. 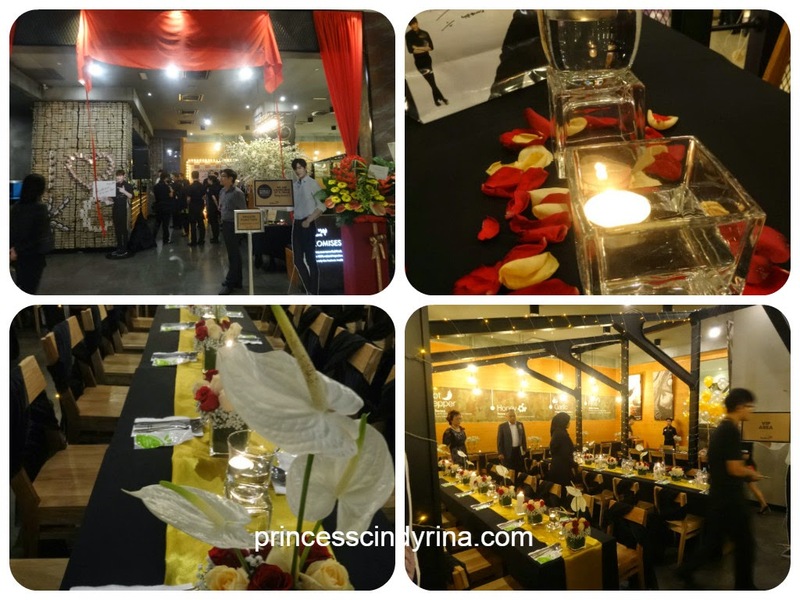 I love the set up for KyoChon biggest outlet grand launching. So lovely setting with fresh flowers and candle. It look so grand and yet classy for a Fried Chicken Restaurant. Lee Min Ho , Dongsaeng greeted me with his cutest 'duck smile' WTH! This Noona can't help it...happy to the max. I am flying outer space.Weeeeeeeeiiiiiii!!!! We were served with snacks and drink which I chose Yuza soda tea. The event was hosted by Royce the talented DJ from MyFm Radio Station. Huh! I missed to take selfie with him. Second Right : Welcome Speech by Chairman Korea Mr Kwon Won Kang who gave out his speech in Korean Language and....that tall Oppa on White Shirt translate in his fluent English. Ah! I feel like watching Korean drama here...fall in love with that white shirt Oppa. Gosh!!! this brownie Ajumma always like tall and fair guy. Then both Chairman exchange gifts. Both Chairman writing wishes and hang onto the Cherry Blossom tree. 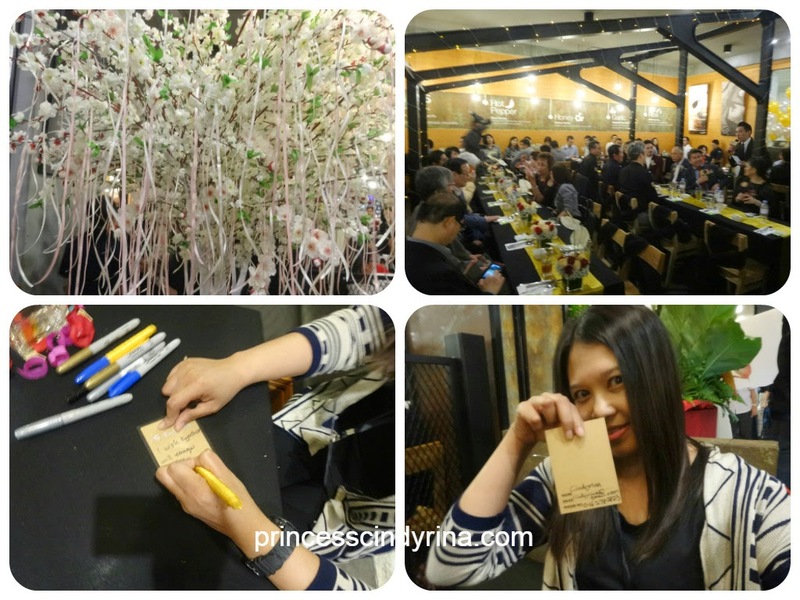 You can visit KyoChon Pavillion and write your wish too. You may stand a chance to win personal autograph calendar from Lee Min Ho. 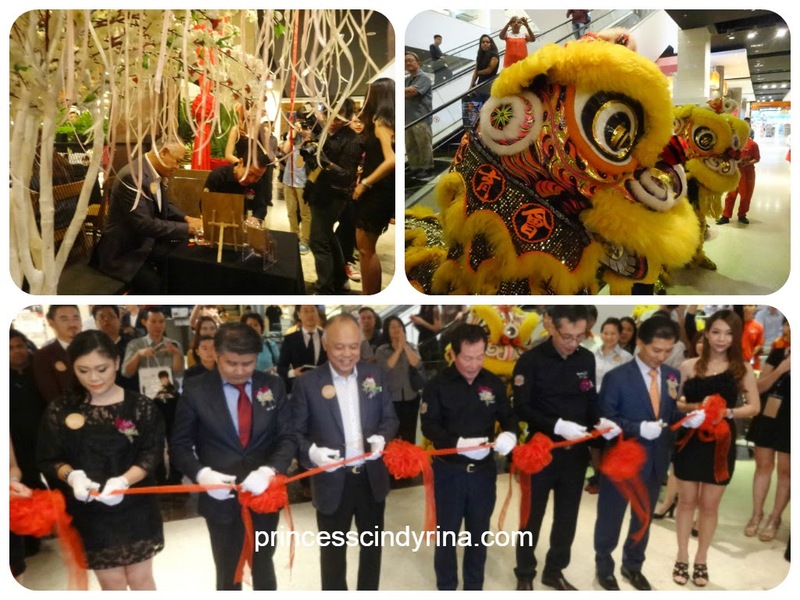 Then the grand opening ceremony started with a blast of Lion Dance performance. Group photo of all the top management of KyoChon. See that guy on that maroon blazer??? One look I thought he is my friend , Dom from Beijing and another look I thought he is a famous celeb. He is one of KyoChon Malaysia's Director ,Mr Aaron Chin. 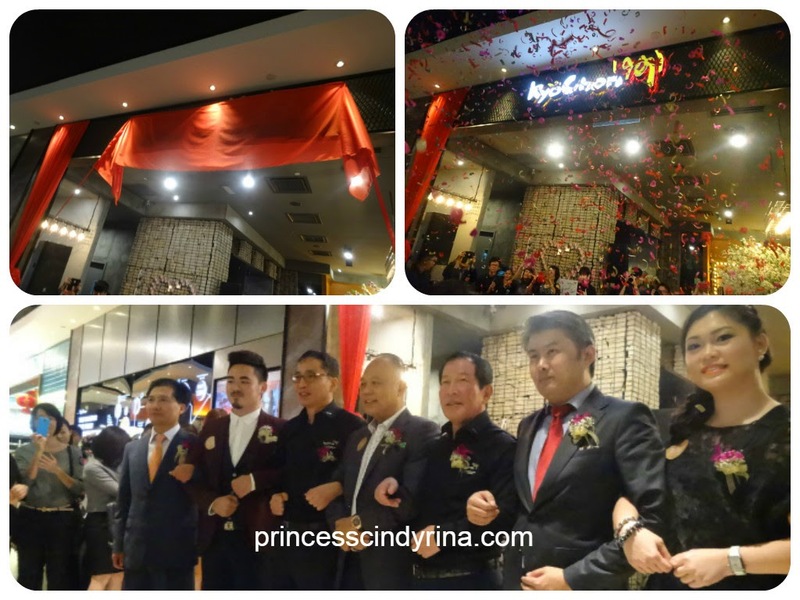 Congratulation KyoChon for your grand launching!!!! I wish KyoChon continues to conquer the world of best fried chicken. Everybody is waiting to sample KyoChon best fried Chicken. IMA! grab the opportunity to write wish and hang it on the cherry blossom tree. IMA hand writing is freaking ugly that day because so hungry and didn't grab any food for breakfast. So IMA's hand a bit shaky and forgot how to spell the word 'conquer ' too. WTH! After writing my sincere wish for KyoChon, IMA rushing to the next meeting without even have chance to enjoy KyoChon fried chicken buffet. isk isk isk ...Anyway, since IMA is a fan of KyoChon fried chicken. 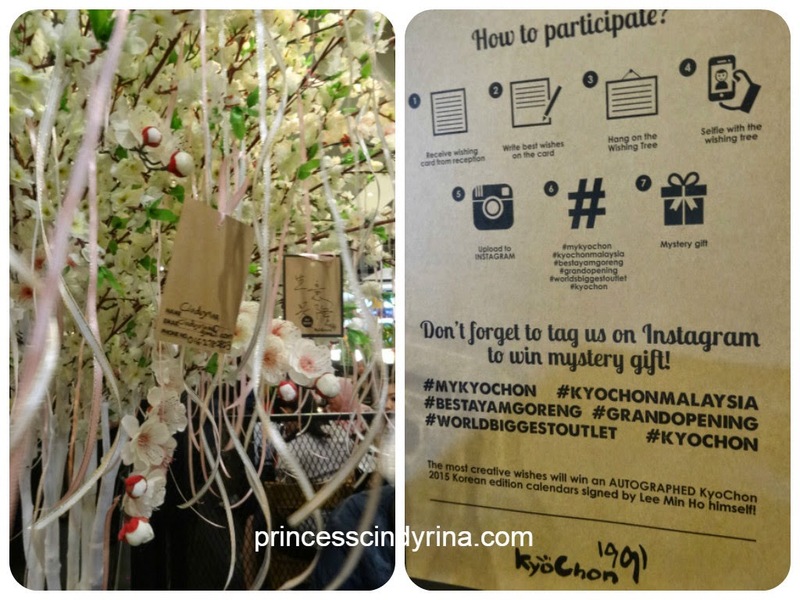 Check out IMA's review on KyoChon earlier. For those who are living around GOLDEN TRIANGLE area...you are lucky to have KyoChon Fried Chicken Delivery service to these few building listed. You feel hungry??? Order KyoChon Fried Chicken like in Korean drama.... Call KyoChon at 1700 81 8787 for you KyoChon Fried Chicken delivery. What to order at KyoChon? The menu can be ordered with rice , fresh salad, chicken broth and refreshing Yuza or Plum soda tea for as low as RM16.90. 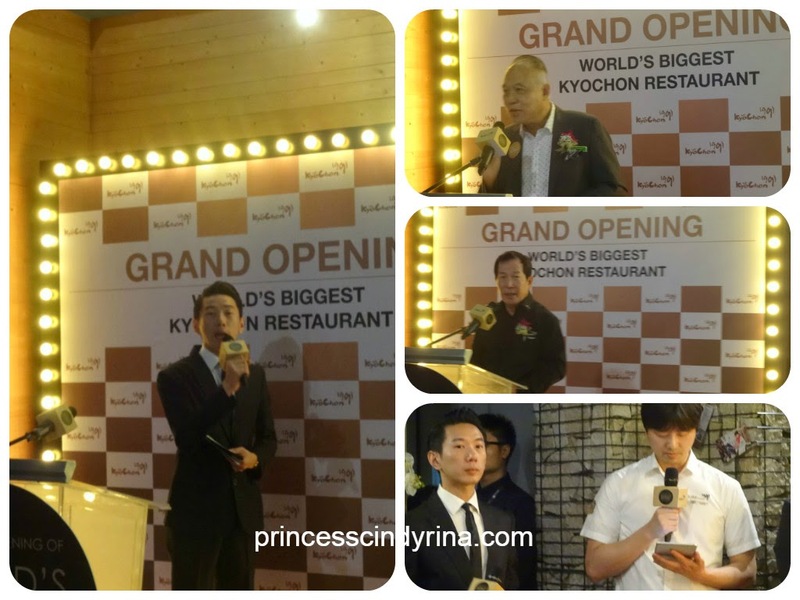 KyoChon serves other menu options such as flame grilled chicken thigh steaks that take 48 hours to prepare and special kimchi fried rice for customers looking for more variety than fried chicken. - A specially-made spicy sauce made from Korean green red pepper, best choice for spicy food lovers! - Boneless chicken fillet with crispy outer skin, comes with 3 sauce choices:extra hot chilli, honey mustard and jambalaya aka BBQ. Traditionally, fried chicken is linked to fast food or junk food and KyoChon is determined to change this perception. At KyoChon , you won't find chicken wings waiting in a heated cabinet to be served over the counter. Here at KyoChon, everything is made fresh and waiters take your orders after showing customers their seats. The restaurant uses only ANTIBIOTIC AND GROWTH HORMONE FREE CHICKENS , eschewing frozen chicken wings and drumsticks for chilled chickens delivered daily. The restaurant is also MSG FREE and cooks exclusively in healthy Canola Oil. Exciting facts - In year 2014, the brand ambassador for KyoChon is Super Junior and when the contract expired in March 2014. 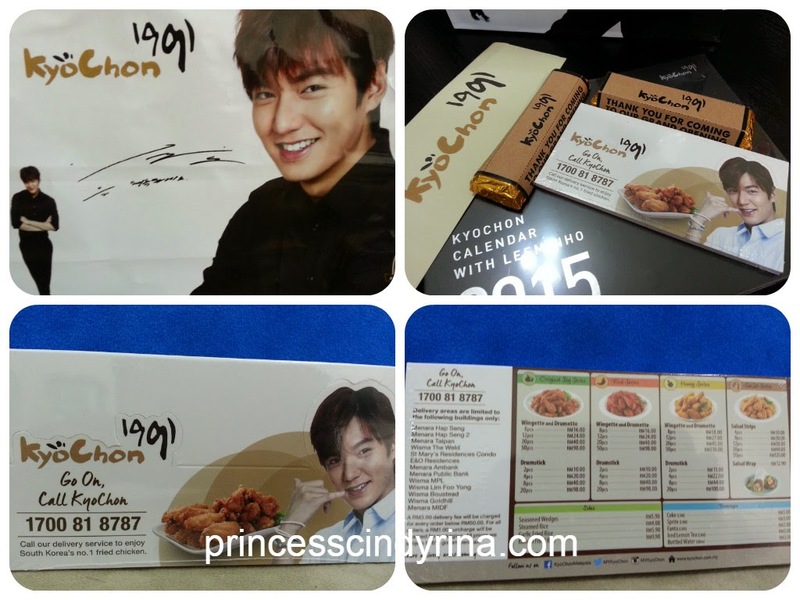 My Dongsaeng for more than 6 years, Lee Min Ho is KyoChon's new spokeperson. Ppppsssssssssttttt!!!!!! Lee Min Ho's fan!!!!! 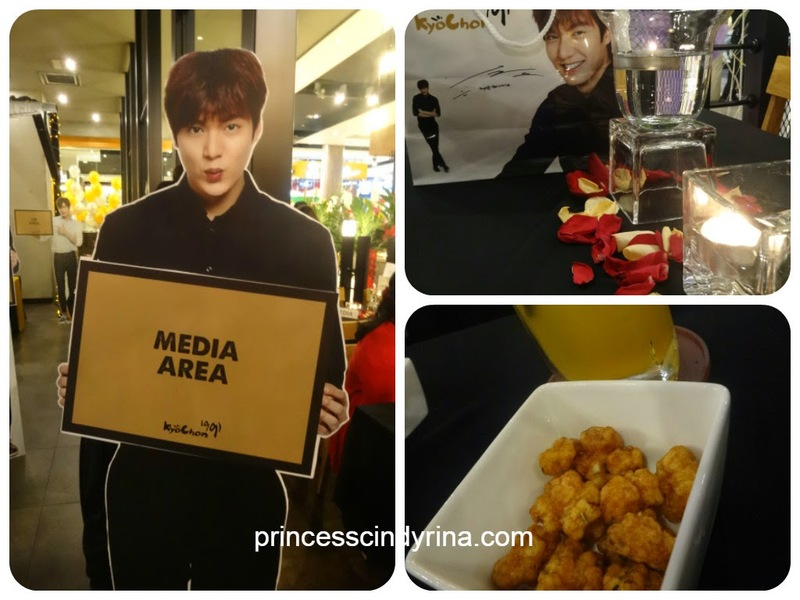 I have good news for you......KyoChon is in talking to bring Lee Min Ho to Malaysia this year 2015 for a special fan meeting event. Do you think KyoChon Malaysia will invite me to meet my more than 6 years DongSaeng , Lee Min Ho????? Low chance for this Ajumma to compete against all those Agasshi! I adore you from far Min Ho, ya!!!! Hahaha! You're so funny! I want to see Lee Min Ho leh!